The BC86 is engineered to deliver a combination of comfort and performance on SUVs and cross-over vehicles. A staggered tread block design provides a quiet, superior ride while full-depth sipes deliver exceptional all-weather traction throughout its long life. 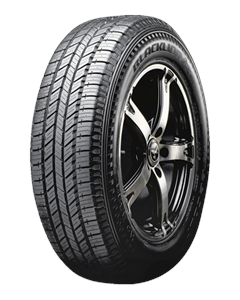 The BC86 features a specially formulated compound for enhanced tread life.